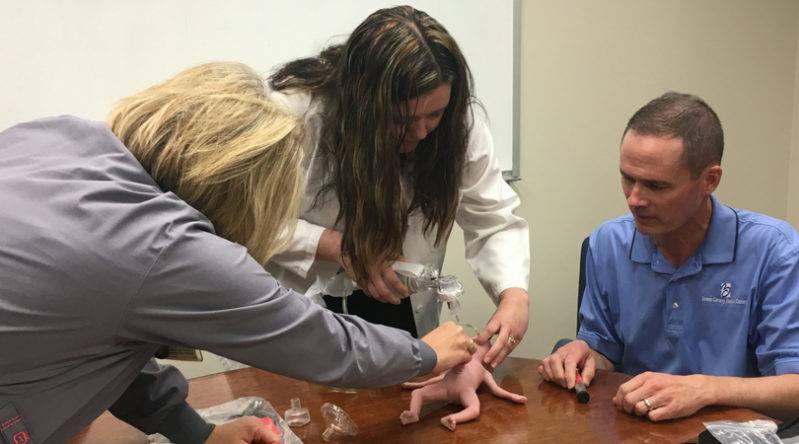 While many small town hospitals are no longer able to offer obstetrical (OB) care, Boone County Health Center (BCHC) is leading the state with training that can save the life of a premature baby. This is in part thanks to generous local citizens who donated to BCHC’s First Breath Priority Project. 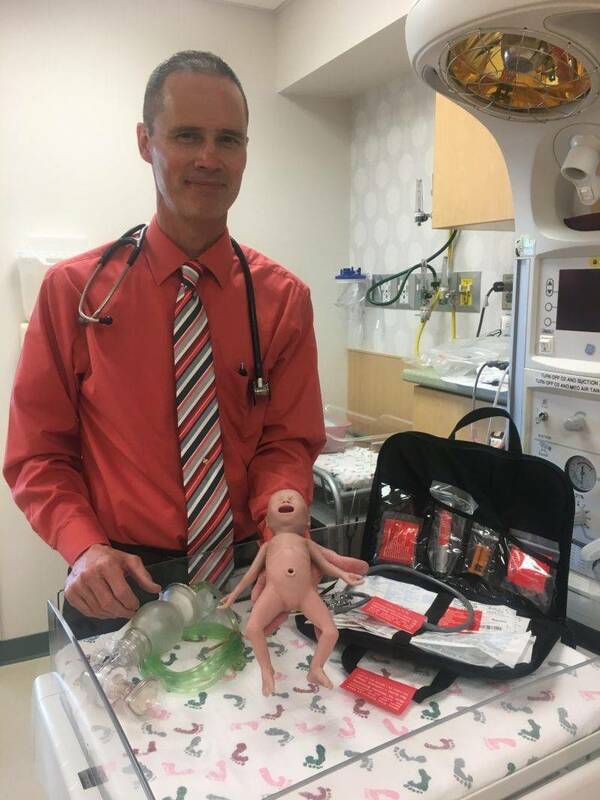 The First Breath funded a 25-week Resusci-Anne Neonate manikin called “Premature Anne” as well as support equipment and special Advanced Life Support in Obstetrics (ALSO) training for Dr. Joel Travis. Dr. Travis traveled nationwide to get the classes and observation he needed to do his ALSO training. He completed it June 10th and is now certified to teach ALSO to other Primary Care Providers (PCPs) at BCHC and across the state. Dr. Travis is the only ALSO trainer in Nebraska who will be doing outreach teaching of ALSO. At BCHC, Doctors Pudwill, Dodds and Travis are all certified trainers for the Neonatal Resuscitation Program (NRP). This is special training created by the American Academy of Pediatrics to teach PCPs how to help a newborn baby breathe and get the heart beating. But babies who are born too early have special care needs, because their lungs are not fully developed. The ALSO training will teach a team-based approach to caring for both mom and baby in an OB emergency. Only 54% of small, critical access hospitals in the nation are still able to deliver babies. BCHC’s OB Department is not only surviving but thriving with a great amount of advanced training and preparation.